Facebook CEO Mark Zuckerberg wants you to know that your data is important to his company. In a Wall Street Journal op-ed published Thursday evening, Zuckerberg laid out why Facebook collects data, to use for advertisements, and how it lets you control that information. Zuckerberg’s op-ed comes at an important moment. In a recent Pew Research Center survey, 74% of Facebook users said they had no idea that the company categorizes their interests based on their actions on the social network. Facebook isn’t the only company that creates these kinds categorizations. Google (GOOG, GOOGL) and Twitter (TWTR) follow the same formula. Thankfully, the three companies also offer you a means to see how these services view you, and let you opt out of having your data used at all. Click the “Ads” option on the left side of the screen. Some of the categories Facebook placed me in. Turning off Facebook’s ad settings will stop showing you ads from the company’s partners. 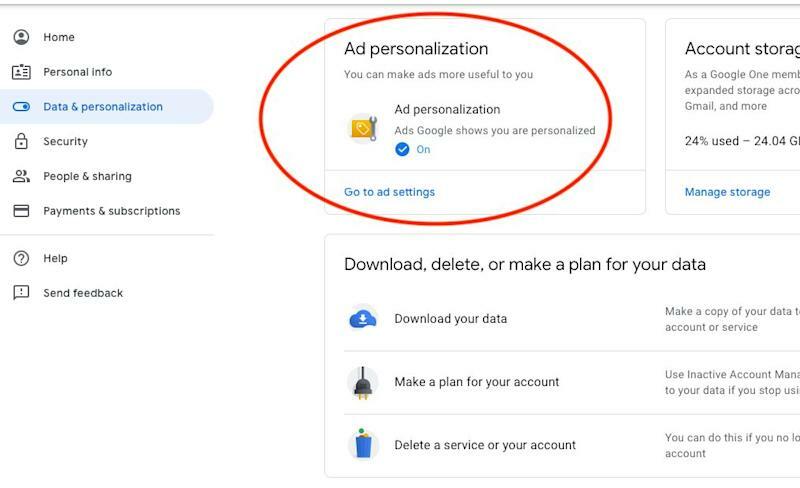 You’ll be able to adjust Google’s ad settings here. 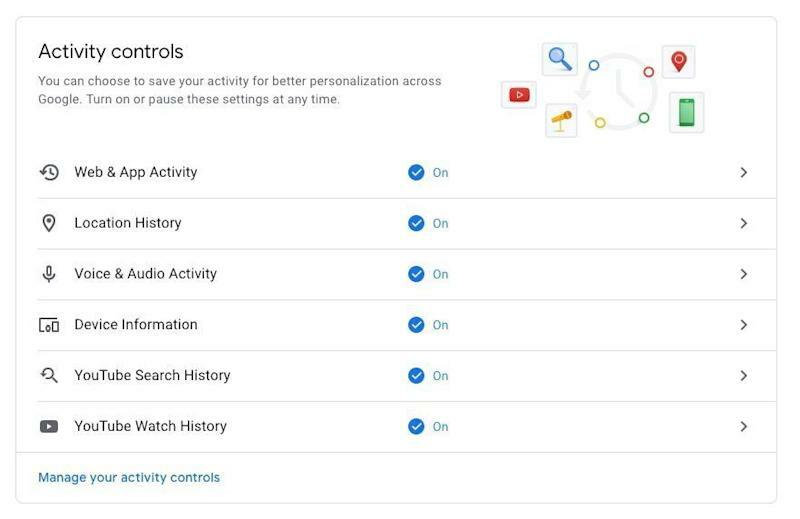 You can control the kind of data Google saves about you from here. 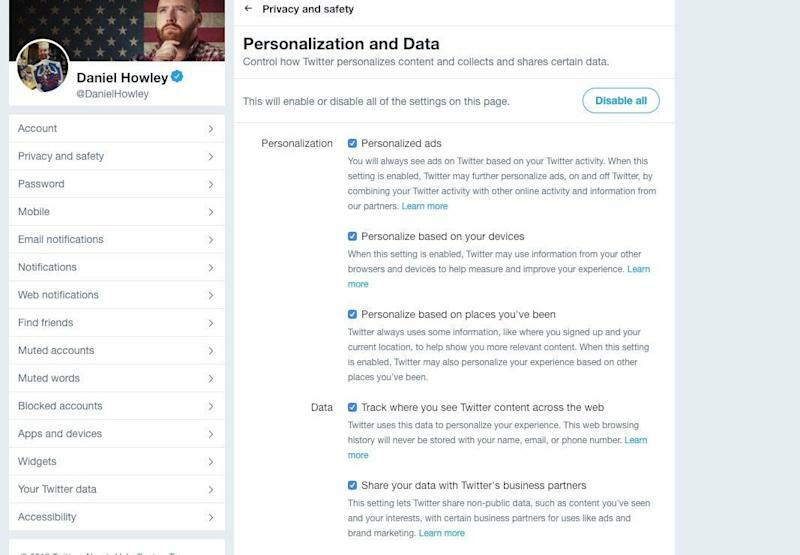 You can turn off data personalization through Twitter’s main settings.